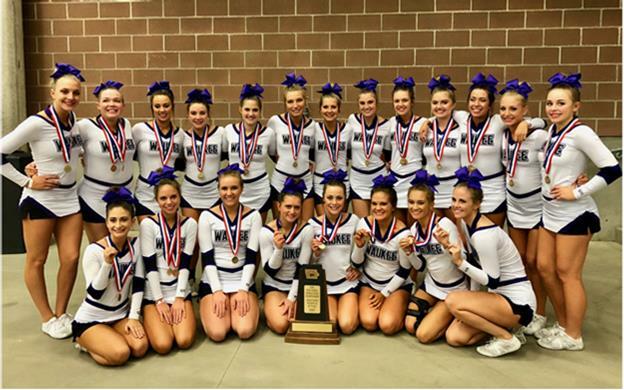 The Waukee High School Varsity Competition Cheer squad captured the Class 4A Division State Championship last weekend at the State Fairgrounds. It was the third straight state title and the tenth state championship in the program’s history. The stunt group also placed third at the state competition. Head Coach Ashley Jackson and the team will now prepare for the National Cheerleading Championships, to be held on January 27-28 in Dallas, Texas. The cheerleaders will be fundraising to help cover the expenses of the trip to Dallas, learn more about their efforts.